This article can help you to remove ExileRAT Virus. The step by step removal works for every version of Microsoft Windows. ExileRAT Malware is one of the most feared cyber infections. It is a Remote Access Trojan (RAT) which opens your system to malicious interference. The news is bad. 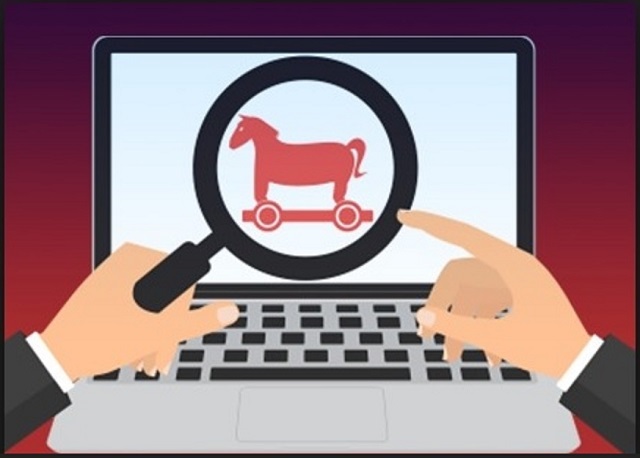 This advanced Trojan corrupts your entire system. It alters settings, corrupts essential system directories, drops malicious files, and starts dangerous processes. This, of course, happens without any noticeable symptoms. The virus spreads its roots around your entire OS without triggering any alarms. You cannot catch it in time to prevent its infiltration. Once it calls your OS “home,” though, everything changes. ExileRAT makes a mess out of your system. The Trojan messes with essential program directories and thus, it often causes program errors and malfunctions. It is also quite likely to make your system sluggish and unresponsive. These issues are, of course, merely the side effect of the Trojan infection. The true corruption is invisible. ExileRAT blends with your legitimate apps and waits for an opportunity to cause serious damage. Do not waste time in debates. The more time this virus spends on your system, the worse your predicament gets. Do what’s best for you and your system. Find where this invader lurks and delete it upon detection. Clean your system the first chance you get. The sooner, the better! ExileRAT uses classic distributions strategies. It relies on spam emails, torrents, corrupted links, and fake updates. Its tactics are very effective, yet, they are not flawless. Your caution can prevent them from succeeding. Your negligence, on the other hand, helps them. Do not give into naivety. No anti-virus app can protect you if you throw caution to the wind. Always take the time to do your due diligence. Even a little extra attention can spare you an avalanche of problems. Don’t visit shady websites. Download software and updates from reliable sources only. And be careful how you interact with your inbox. Treat all unexpected messages as potential threats. Always verify the senders. If, for example, you receive an email from your bank, go to their official website. Compare the email addresses listed there to the suspicious one. If they don’t match, delete the pretender immediately. You can also enter the suspicious email addresses into a search engine. If they were used for shady business, someone might have complained online. ExileRAT is menacing and destructive. This parasite slithers into your system and wrecks it. It causes errors and crashes. You may find yourself forced to reboot your OS repeatedly. A simple restart, however, won’t fix your problem. The Trojan loads together with your OS and is always running in the background. ExileRAT hides in the shadows and plans its next attack. And don’t be mistaken, its attacks are dangerous. This Trojan is a weapon that is aimed at your privacy and security. The hackers can use it to infect your system with spyware and keyloggers. Thus, they may steal your usernames, passwords, financial details, and other sensitive information. And that’s not even the tip of the iceberg. ExileRAT also threatens to corrupt your data, as well as to steal your computer resources. No one can tell you what the future holds. ExileRAT is a versatile Trojan that affects its individual victims differently. While some users get their systems under surveillance, others have to deal with ransomware and coinminers. What will happen to your device depends on the hackers and their current plans. Only one is known for sure: there will be unwanted consequences. Do not wait to see what the future holds. Take action against the Trojan. The ExileRAT infection is specifically designed to make money to its creators one way or another. The specialists from various antivirus companies like Bitdefender, Kaspersky, Norton, Avast, ESET, etc. advise that there is no harmless virus. If you perform exactly the steps below you should be able to remove the ExileRAT infection. Please, follow the procedures in the exact order. Please, consider to print this guide or have another computer at your disposal. You will NOT need any USB sticks or CDs. Attention! this can break your internet connection. Before you change your DNS settings to use Google Public DNS for ExileRAT, be sure to write down the current server addresses on a piece of paper. ExileRAT may have the ability to replicate itself, if not completely cleaned. This may require tracking down hundreds of files and registry keys. You can choose to use Spyhunter Professional Anti-Malware Program to deal with any infection that might be lurking along with ExileRAT!